This story originally aired on April 15, 2019. 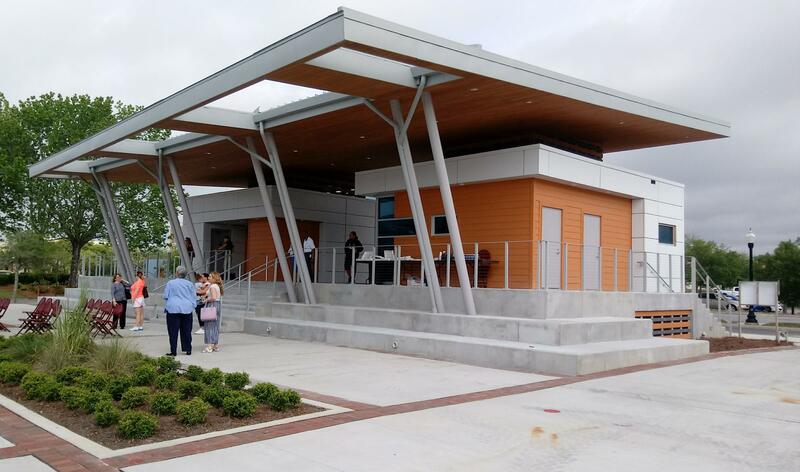 Downtown Pensacola's new ferry terminal. Built at a cost of $3.5 million, the dock and terminal complex will provide a home for Turtle Runner and Pelican Perch – the two, 150-passenger catamaran-style boats overseen by the National Park Service. Dan Brown, Superintendent of Gulf Islands National Seashore. 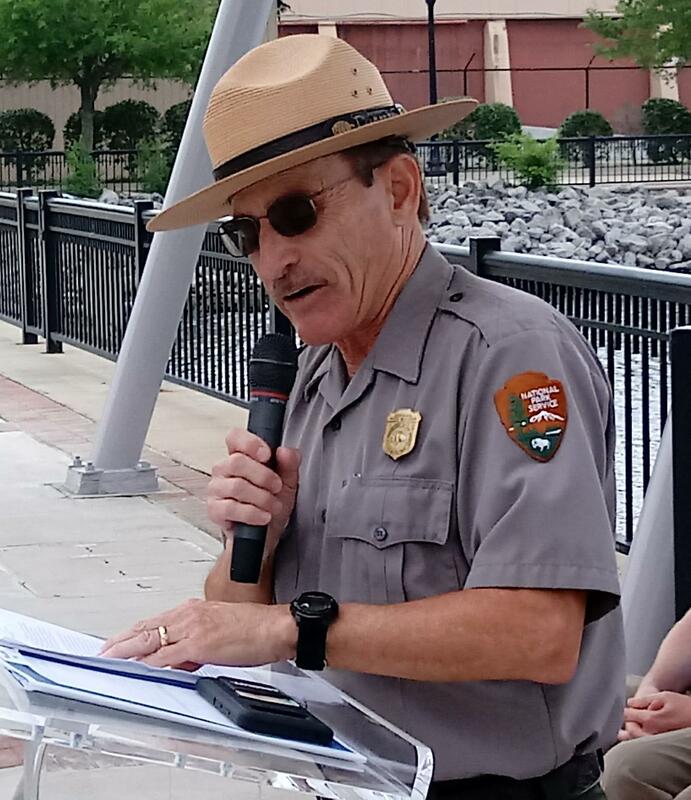 “In my four decades with the Park Service, none of the things that I have worked on have been more complex; more challenging, or more rewarding than helping make this community’s dream for a boat service on Pensacola Bay come true,” said Dan Brown, Superintendent of Gulf Islands National Seashore. He told the gathering that, as with most big undertakings, there are always specific moments in time that stand out. One was a phone call from Kimberly Blair, then with the Pensacola News Journal, on the news that BP oil spill money would be used to purchase two ferries. After the funding was secured, construction of the two vessels began in Washington State, and the search was on for a company to run the business. After one failed attempt last year, HMS Ferries Incorporated of Bainbridge Island, Washington was hired and signed to a 10-year contract. 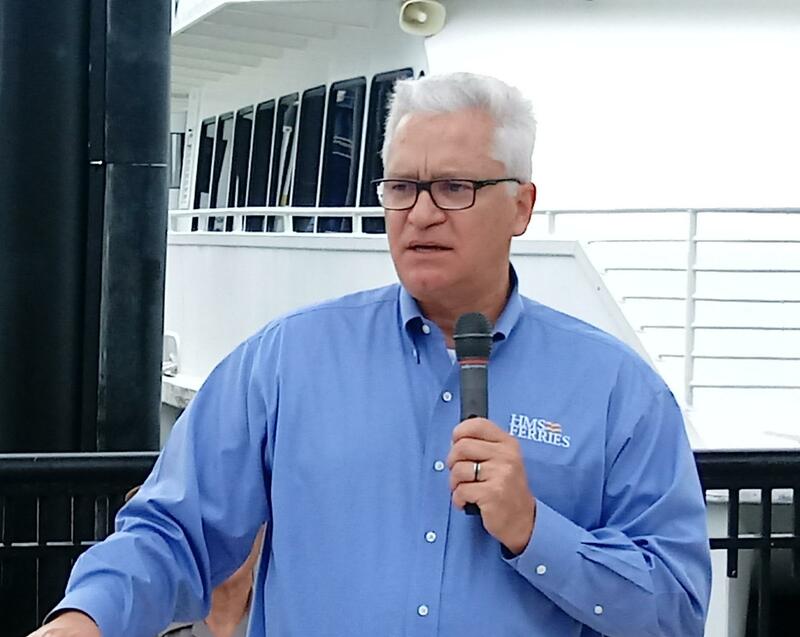 “I’ve been here now about four weeks, and every week has just been fantastic; the positivity, the support for this project is absolutely electric,” said Joe Asebedo, the general manager of parent firm Hornblower Maritime Services. Joe Asebedo, General Manager of Hornblower Maritime Services. “This project didn’t just happen; it happened because of a lot of people put a lot of time and effort into it,” said Pensacola Mayor Grover Robinson, who offered the last word. “This is not just transportation; it is a true activity/attraction and excursion,” Robinson said. “Please take your opportunity to get out there and enjoy this; this is your amenity, Pensacola. The first cruises of Turtle Runner and Pelican Perch are set for next Friday, for a limited Friday through Sunday schedule through May 15, when its full summer schedule begins. More information is at the National Parks Service website.